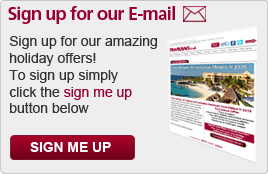 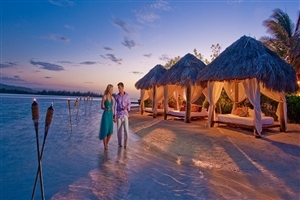 Indulge yourself with a stay at the iconic Sandals Royal Caribbean resort, a fabulous Luxury Included® resort perfect for couples and honeymooners seeking a sumptuous escape. 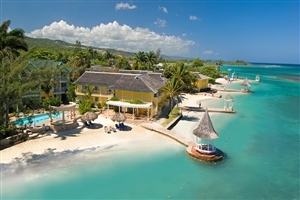 Located on a beautiful ribbon of Jamaica’s stunning Montego Bay, Sandals Royal Caribbean also features a private offshore island for those seeking the ultimate hideaway with one another. 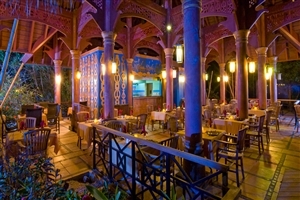 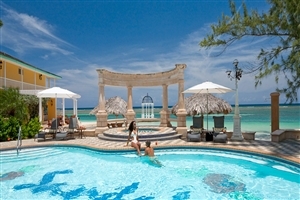 Facilities at Sandals Royal Caribbean include the lavish Red Lane® Spa, the beautiful Crystal Lagoon Pool and an array of 5-Star Global Gourmet™ Dining venues, making it the ultimate Luxury Included® Caribbean holiday. 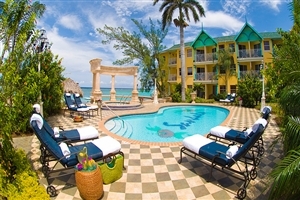 Treat yourself to the ultimate all-inclusive Luxury Included® Caribbean holiday with a stay at the iconic Royal Sandals Caribbean and Private Island. 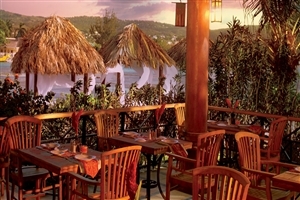 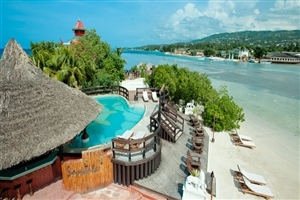 Set on the edge of beautiful Montego Bay on Jamaica’s glittering Caribbean coastline, the adults-only Royal Sandals Caribbean enjoys a sumptuous setting, making it ideal for couples escaping a romantic holiday or a honeymoon. 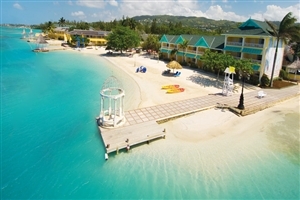 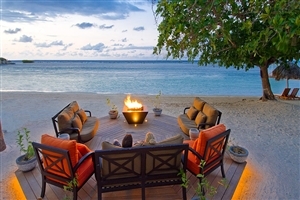 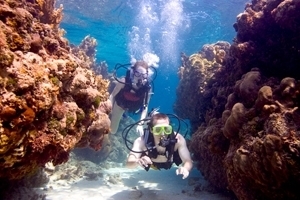 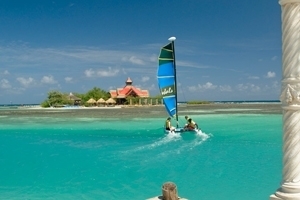 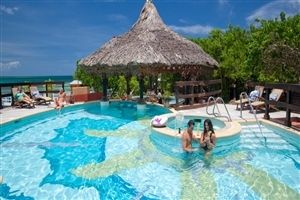 Featuring its own private island for those seeking a perfect hideaway, Sandals Royal Carribean Resort and Private Island complements its setting excellent facilities, including a large swimming pool, regular live entertainment, the sumptuous Red Lane® Spa and seven superb gourmet restaurants. 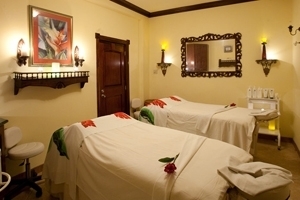 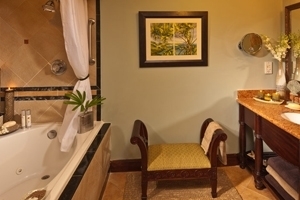 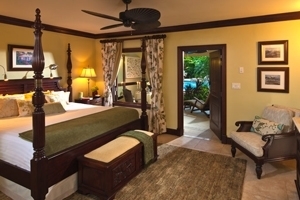 The Caribbean Deluxe Room at Sandals Royal Caribbean offers Jamaican style decor and generous amenities for a refreshing hospitality experience. 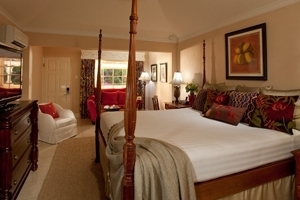 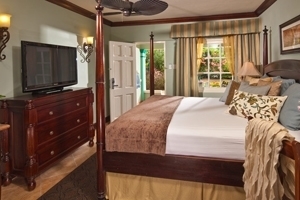 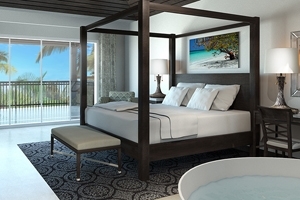 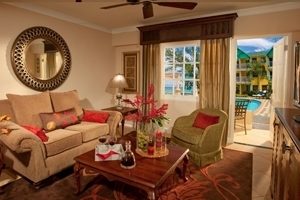 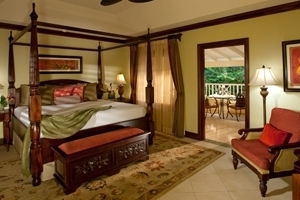 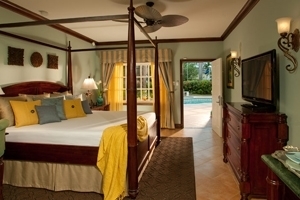 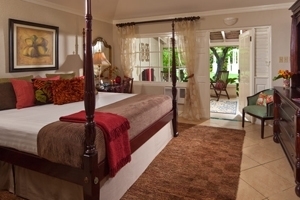 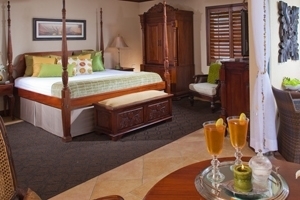 The Caribbean Premium Room at Sandals Royal Caribbean offers views across the manicured tropical gardens and is tastefully decorated with hardwood furniture. 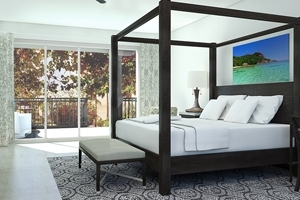 The Royal Sanctuary Grande Luxe Room at Sandals Royal Caribbean overlooks the tropical gardens and smart touches, including a large balcony/patio and comfortable furnishings. 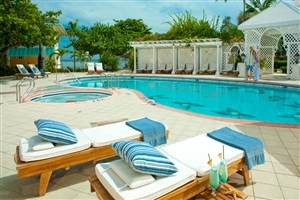 The Caribbean Grande Luxe Poolside Room at Sandals Royal Caribbean offers access to a semi-private Caernarvon pool and across the tropical gardens. 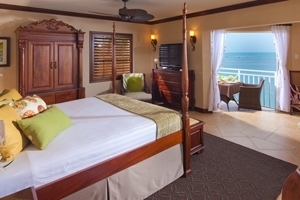 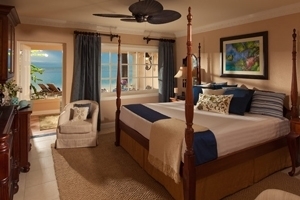 The Beachfront Grande Luxe Room at Sandals Royal Caribbean overlooks the sandy beach and the Caribbean Sea beyond from its privileged beachfront location and private patio or balcony. 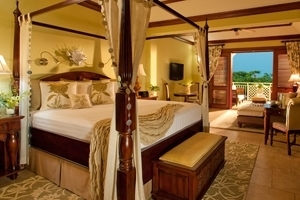 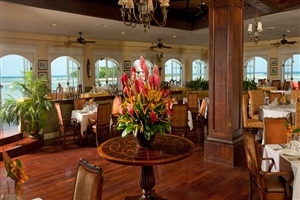 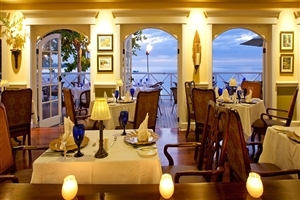 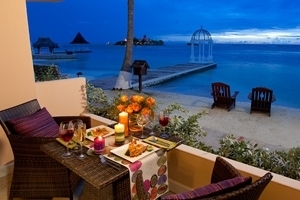 The Kensington Cove Honeymoon Beachfront Club Level Room at Sandals Royal Caribbean offers marvellous Caribbean Sea views from its privileged beachfront location, plus romantic touches. 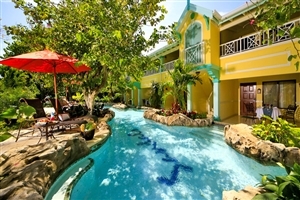 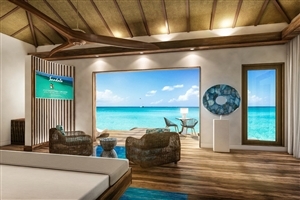 The Swim-up Crystal Lagoon Honeymoon One Bedroom Butler Suite at Sandals Royal Caribbean offers a private entrance, leading to a spacious living room and separate bedroom, while the oversized patio area features superb views and direct access to the Crystal Lagoon. 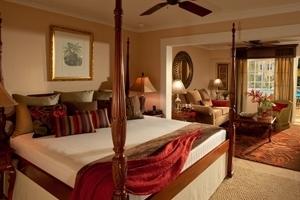 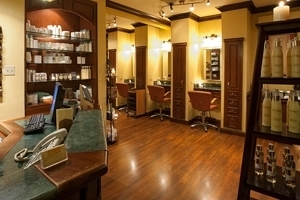 This Love Nest Suite® features exclusive butler service. 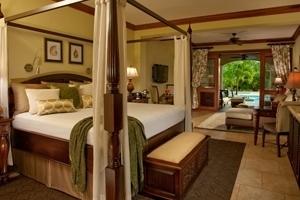 The Over-the-Water Private Island Butler Honeymoon Bungalow at Sandals Royal Caribbean offers an opulent escape ideal for romantic sojourns and boasts everything from undersea views, a tranquility soaking tub, a private patio and exclusive butler service that all comes together to entice any and all visitors. 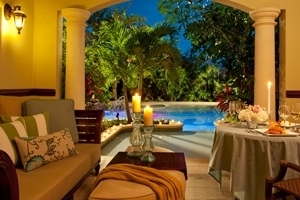 The Over-the-Water Private Island Butler Villa with Infinity Pool at Sandals Royal Caribbean offers immense levels of luxury, space and service, boasting floating water hammocks, a private infinity pool, a soothing jacuzzi, see through glass floors and butler service, making this a veritable haven wrapped in a paradise. 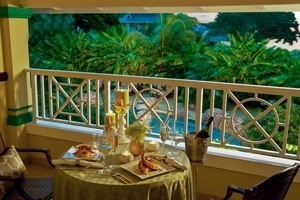 The Crystal Lagoon Honeymoon One Bedroom Butler Suite at Sandals Royal Caribbean features its own expansive balcony leading to the Crystal Lagoon, plus a separate bedroom and living room and fine views. 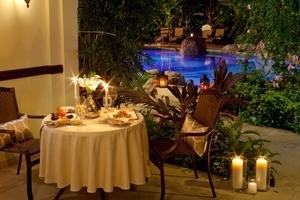 Guests will also receive an exclusive butler service. 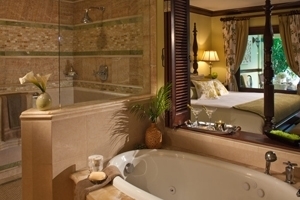 The Romeo & Juliet Butler Suite with Balcony Tranquillity Soaking Tub at Sandals Royal Caribbean is set in the Edinburgh Building and includes elegant mahogany furniture and plenty of room to roam. 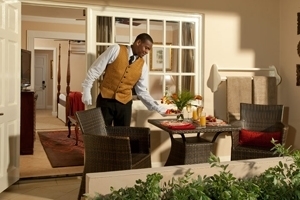 The suite features a dining area and a private balcony while also granting exclusive butler service. 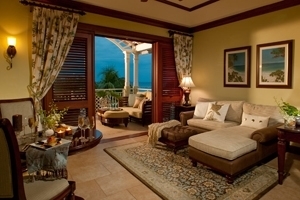 The Honeymoon Grand Luxury Butler Suite with Balcony Tranquillity Soaking Tub at Sandals Royal Caribbean is an opulent accommodation that comes with a variety of comfortable traits and space to ensure a magnificent time for honeymooners. 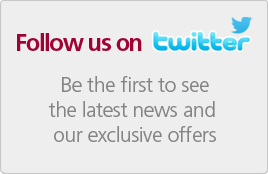 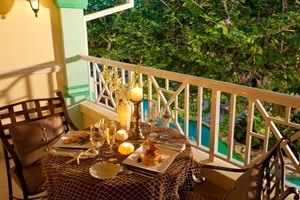 The suite includes a dining area, a private balcony and grants exclusive butler service. 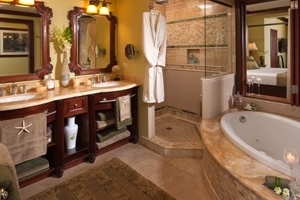 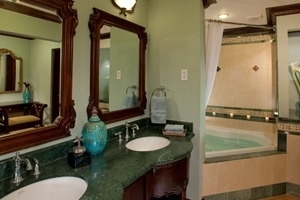 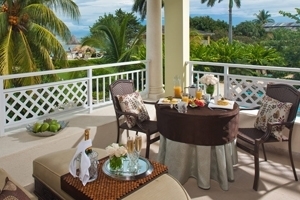 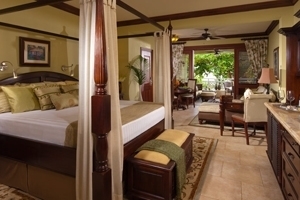 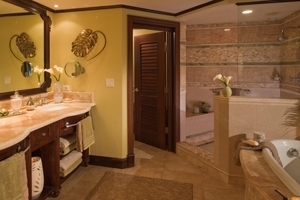 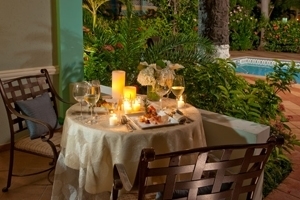 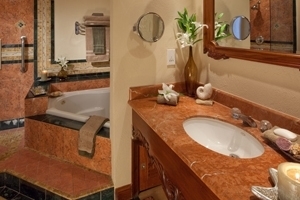 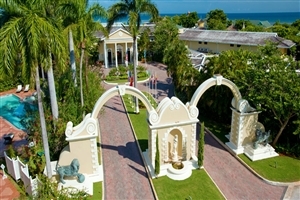 The Honeymoon Grand Luxury Walkout Butler Suite with Patio Tranquillity Soaking Tub at Sandals Royal Caribbean is an opulent accommodation that comes with a variety of comfortable traits and space to ensure a magnificent time for honeymooners. 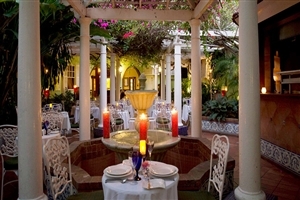 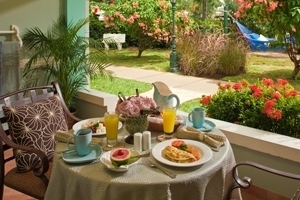 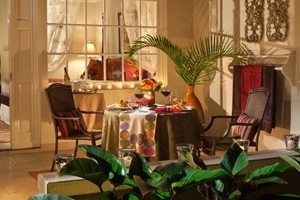 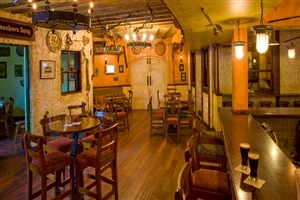 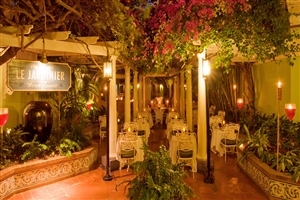 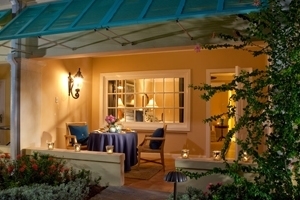 The suite includes a dining area, a private patio and grants exclusive butler service. 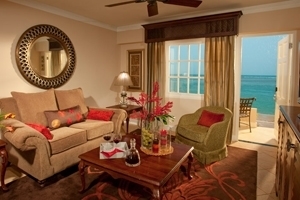 The Crystal Lagoon Honeymoon Penthouse Oceanview One Bedroom Butler Suite at Sandals Royal Caribbean offers beautiful views across the Crystal Lagoon and the Caribbean Sea beyond. 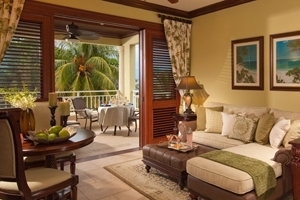 This Love Nest Suite® features exclusive butler service. 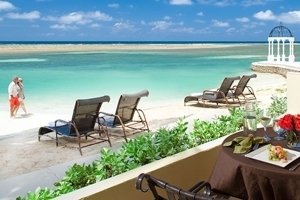 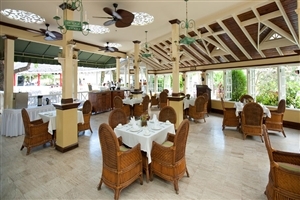 The Beachfront Honeymoon Walkout Club Level Room at Sandals Royal Caribbean allows for direct access to the stunning beach and the Caribbean Sea beyond. 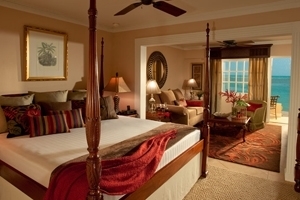 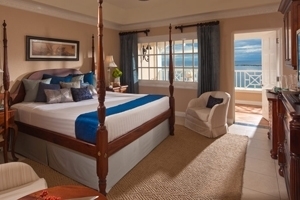 The Windsor Beachfront Club Level Room with Balcony Tranquillity Soaking Tub at Sandals Royal Caribbean is a heavenly setting where custom made furnishings and lavish comforts come together with gorgeous views to entice even the most discerning of visitors. 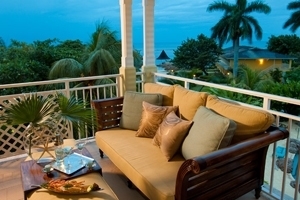 The room features a spacious balcony and showcases views of the ocean and beach. 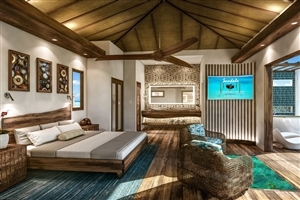 The Crystal Lagoon Honeymoon Butler Suite at Sandals Royal Caribbean offers a romantic escape with its private whirlpool tub and exclusive butler service, as well as pretty views across the Crystal Lagoon. 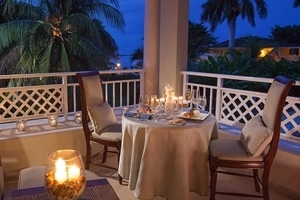 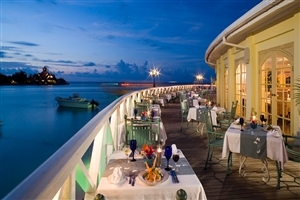 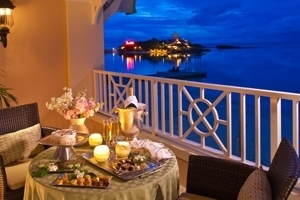 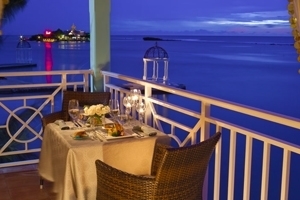 The Crystal Lagoon Honeymoon Oceanview Butler Suite at Sandals Royal Caribbean offers a large balcony overlooking the Crystal Lagoon, with the Caribbean Sea behind it. 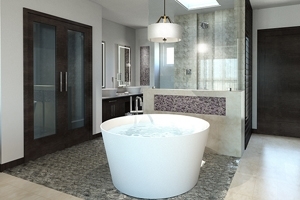 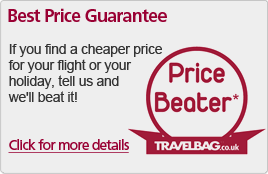 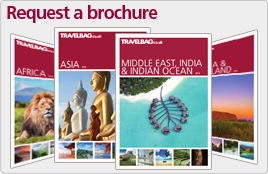 Features include an exclusive butler service. 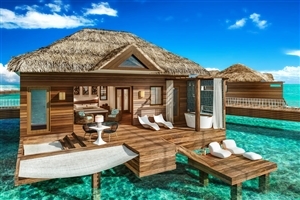 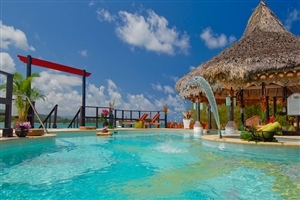 The Walkout Swim-up Crystal Lagoon Honeymoon Butler Suite at Sandals Royal Caribbean offers direct access to the Crystal Lagoon located just feet away from the private balcony. 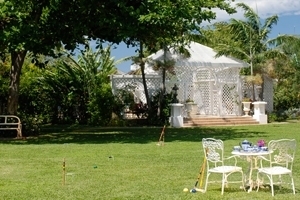 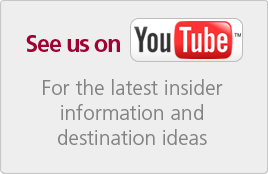 Features include an exclusive butler service.